When I visited Vienna for the first time many years ago, I remember experiencing a feeling of “cognitive dissonance.” On one hand, one hardly ever hears about Austria in the news—it’s one of those small, insignificant European countries (this should not be taken as a put-down; in fact, such countries tend to deliver a much better standard of living to their citizens than most imperial nations who lavishly spend treasure on armies, fleets, and client states). On the other hand, I saw grand palaces, vast squares, and broad boulevards. Vienna looks like an imperial city, and of course it was. 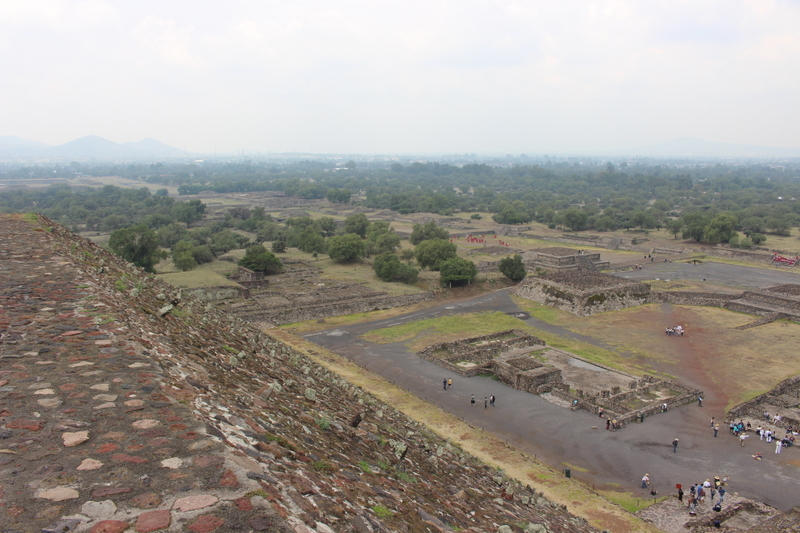 The present mismatch between the scales of the capital and its country is a result of the collapse of the Hapsburg Empire, which was dismembered by the victorious allies following its defeat in World War I.
I had much the same feeling when I toured Teotihuacan last week. In my previous readings about Teotihuacan I distinctly remember that most referred to it as a “city state.” I read George Cowgill’s 2015 book Ancient Teotihuacan prior to the trip and, apparently, his opinion is that Teotihuacan was a rather small territorial state that might have controlled the Basin of Mexico but not much beyond it. Certainly not an empire. 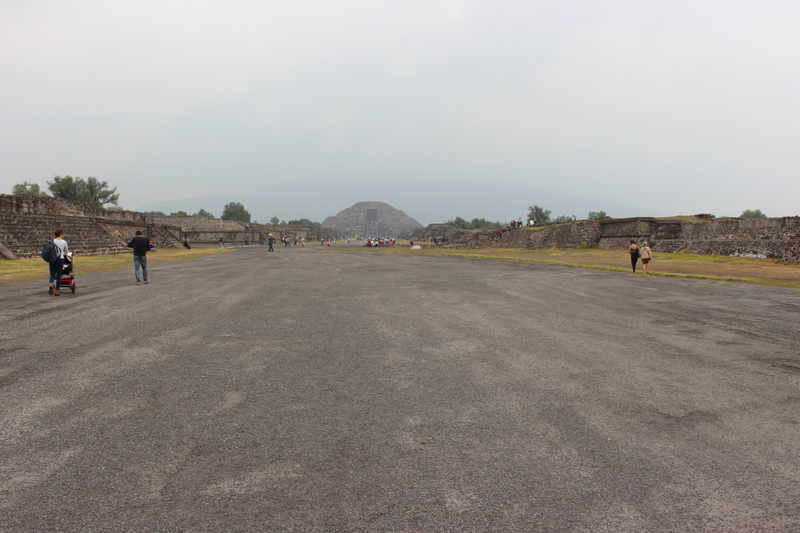 Yet the dominant impression one gets when actually visiting Teotihuacan is that of sheer scale. 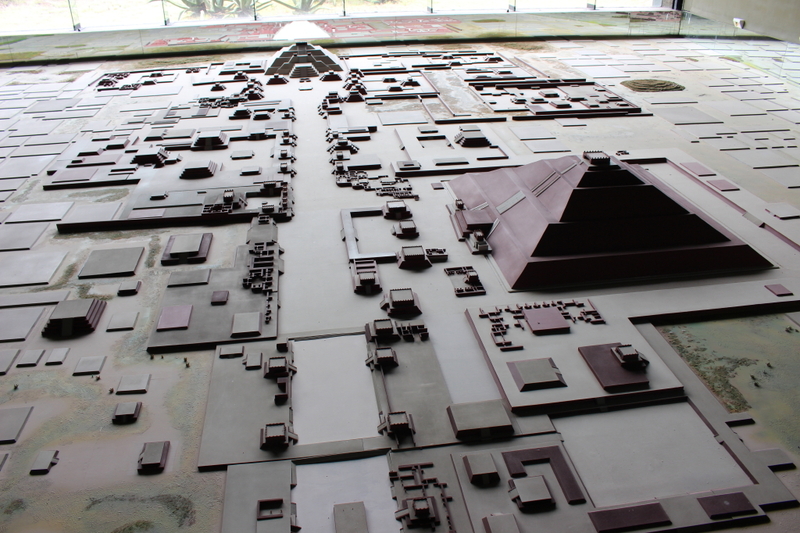 It’s not just the size of pyramids, it’s the huge public spaces – the overall length of the central avenue (the “Avenue of the Dead”), which runs north and south, is 5 km. There are a number of huge plazas. It is estimated that the city covered 20 square kilometers and had a population of between 100,000 and 200,000. The city lacks any defenses, whether natural (it’s down on the flat plains, as you can see in the photos above) or artificial (no defensive wall). All of those are hallmarks of a capital of an extensive empire with frontiers far away, so that there is little danger of enemy penetrating to its core. 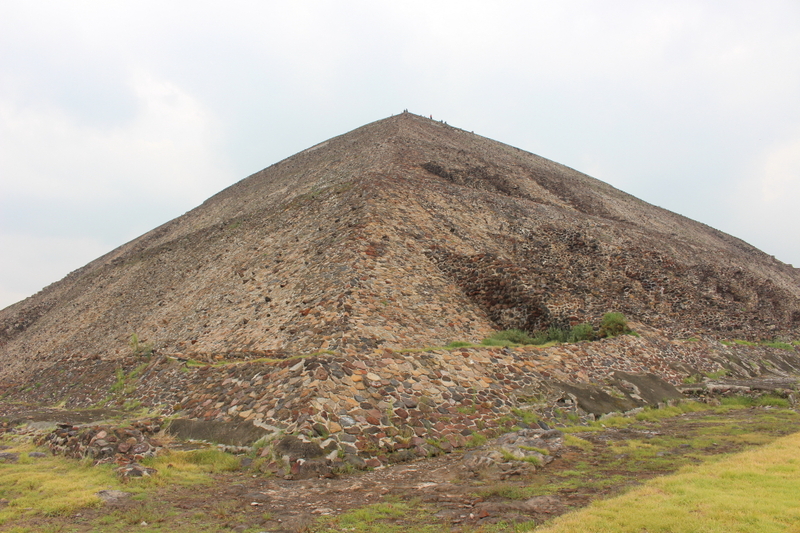 It’s interesting that there is some direct evidence that Teotihuacan conquered areas far away. 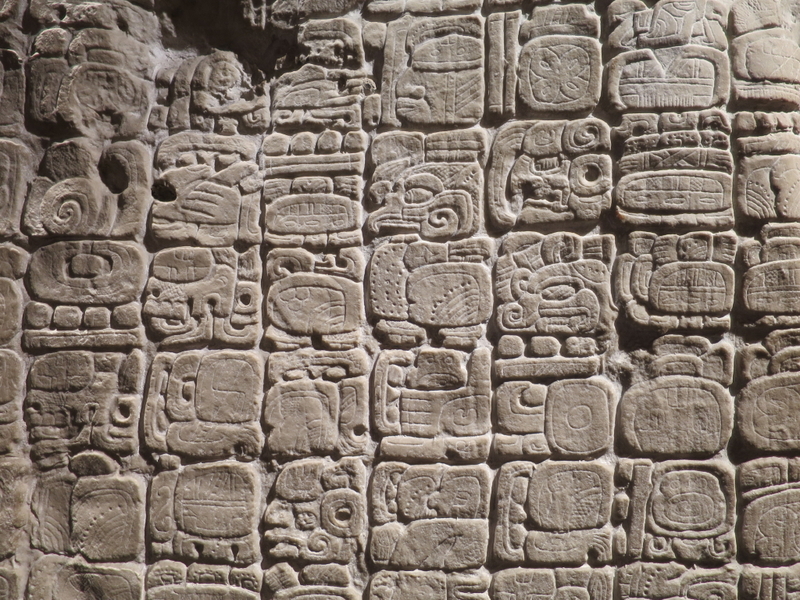 For example, Stela 31 in Tikal apparently refers to the overthrow of a Tikal ruler in 378 CE by a Teotihuacano general. Now, Tikal (located in modern Guatemala) is 1200 km away from Teotihuacan—that’s quite a remarkable reach for a “city state”! 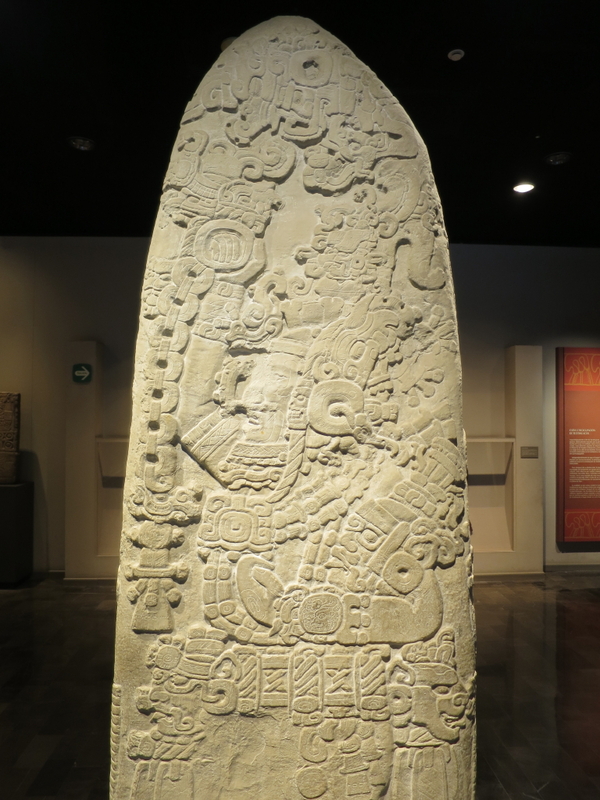 Of course the text on Stela 31 is quite murky, and allows for a variety of interpretations, from an overthrow of one elite faction within Tikal by another, aided by some Teotihuacano adventurers, to an outright annexation of Tikal by the Teotihuacan Empire. I leave arguing about the meaning of the text to the experts, but I think cliodynamics can contribute to the overall question—was Teotihuacan a city-state, or a large empire—in a meaningful way. We are nearly there with collecting a large set of data on hundreds of various polities, ranging in size from tiny to huge. There are lots of correlates of territorial extent, and once we have analyzed the data we can come up with an estimate—what is the likely range of possible territorial control that is suggested by the directly measurable characteristics of Teotihuacan? That photograph of the reconstruction of the city looks amazing. The city looks entirely planned – suggesting it was not the first capital and was built from the ground up, like the royal foundation cities in the Old World (Amarna, Per-Ramisses, Sirkup etc). Great point… could be a religious capital after the fashion of the one built by Akhenaten. I am reminded of the estimates (by Western scholars) of the size and scope of the Mississippi River Valley civilization. Because it had more or less disappeared before the Europeans got there, the full extent of it at its height was not appreciated. 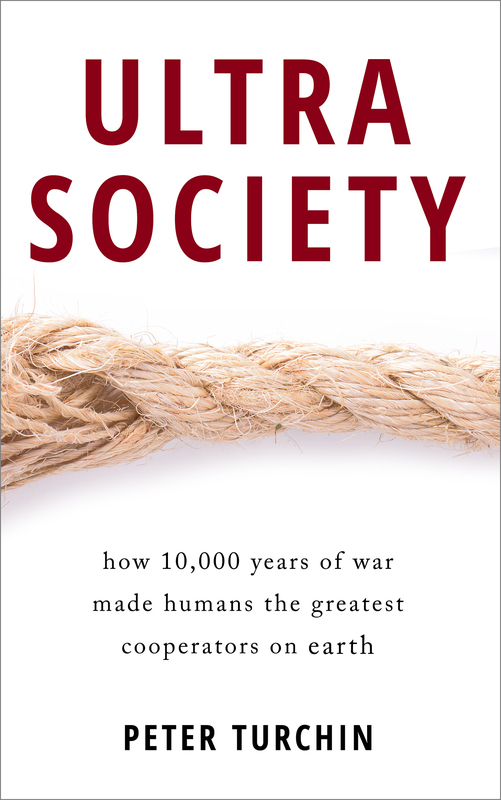 Over the course of about 50 years, the estimates of its peak population kept getting increased, and I’m not sure if they have reached a stable consensus yet. When you don’t see the direct evidence of an empire around you still, it’s hard to imagine that what was there was orders of magnitude more than what you see now. Good article! wish it were much longer. and your area to defend diminishes as your numbers do. And if you have an internal escape route via passages and tunnel, you can live to fight another day. It would be based on a feudal psychology of the serfs defending the royalty etc. Water supply for pyramid forts is even more of a problem than for hilltop castles. Doubtful they were for organized warfare. Very useful as bases for control of a subordinate population too weak and disorganized to mount a siege I would think. But not clear that they were well placed for this. Such hilltop forts/cop shops should be littered over the countryside? 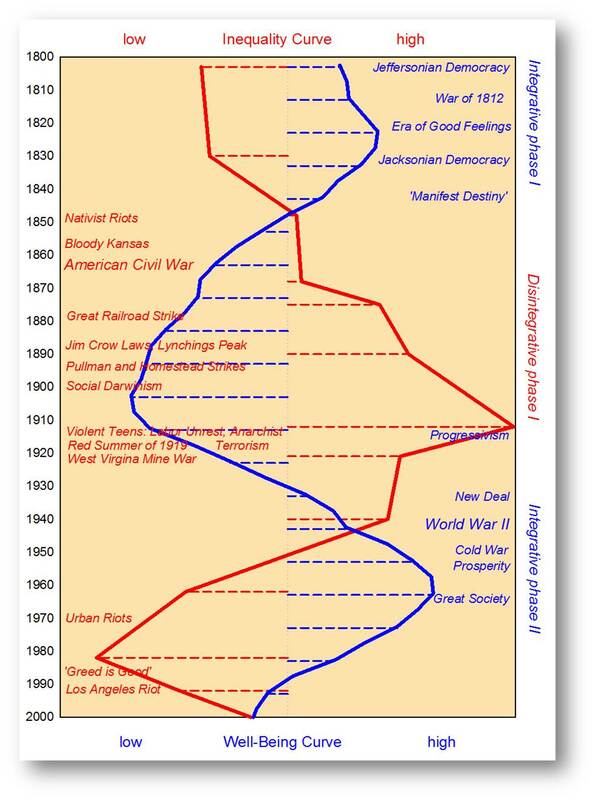 So I think the problem is the western mental castle paradigm, compared to a simpler idea more akin to stone age hill forts, as mass pitched battles using organic weapons… you can only fight so long on muscle energy. And if you can do out of proportion damage to your enemy, get away, and regroup, you’ve basically won… Real estate is cheap in the jungle, its your people power that would count, and your social organization. gary lester: highly unlikely that the pyramids were defensive. The function clearly was symbolic and as platforms for ritual. Keep in mind that Teotihuacano armies employed large numbers of atlatlists who delivered massed volleys — projectile weapons were their secret of success (and large scale organization for warfare). I read on Wikipedia that the culture originally consisted of three citystates that later on became shared interests and that the Aztecs when they submitted naboring states let them fall under their fiscal jurisdiction/ but not changed their reigning government as such, so you cannot realy speak of one big cultural state. 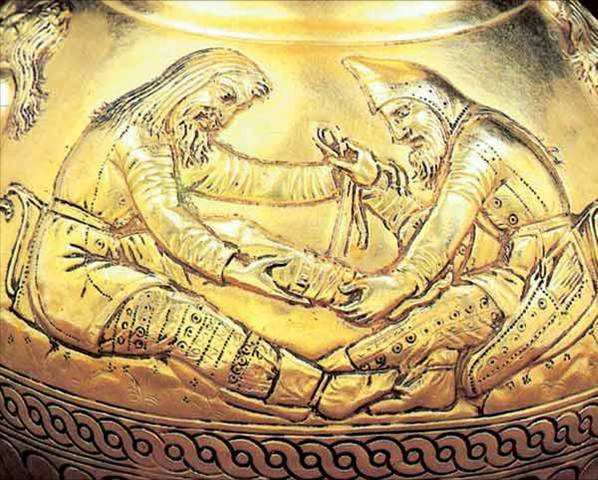 It was fractured, at the advantage of invading Spanjards later on. What intregues me the most is the resemblance between their pyramides and the Egyptian ones, although they did not use them as gravetombs, but sacrificed human lives on the top to worship the sun, that was also represented by their uppergod, who next to that represented warfare. So they were a pretty militant culture. Whether this has been caused by earlier contacts with Egyptians, that could cross the antlantic in their papyrus boats and were a much earlier culture is not clear to me. 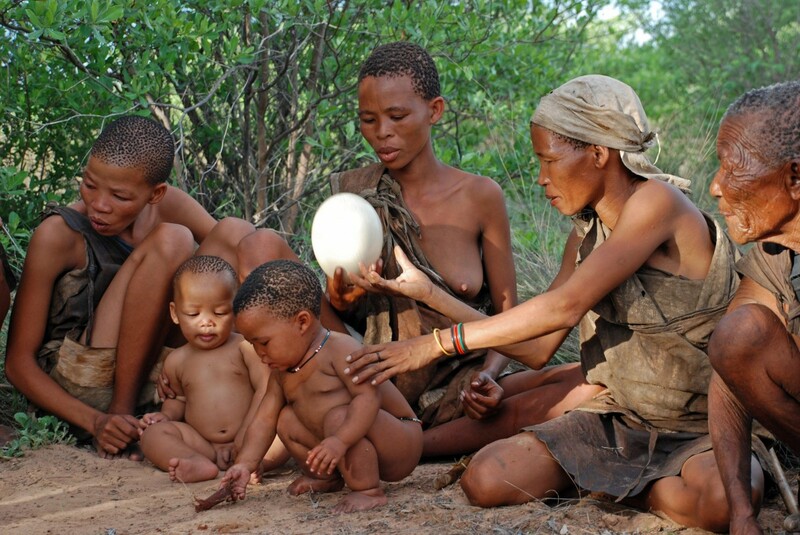 It could also be that two cultures on earth had the same idea. The sunlight; represented by the shape; starts from a central point and then projects itself on the earth. So you symbolicly sort of control it. The big main road could be tied to the fact that it needed that much space for building in the first place and was left as part of the monument. As far as I know the Aztecs had no horses and carriedges, so the trade did not need such a big road. It was probably meant for gatherings as well. Also the hieroglyphes are on the one hand somewhat similar to the Egyptian ones/ on the other totally different, also because they used building blocks for ‘writing’ in. This could be practical/ but somehow it also reminds me of a brain structure, that beholds the knowledge and therefore was consciously copied for that reason. It might be too far fetched, but intregueing anyway. If anything, the pyramids resemble more the architecture of SE Asia, and there is some evidence for very early contact from that culture sphere. I see, yes they were all over the place from China to Mesopethania. Not so much an expression of culture/ but the only way to build that high in these days. So the technical restriction created the similarity. Interesting. When will you visit Vienna again? 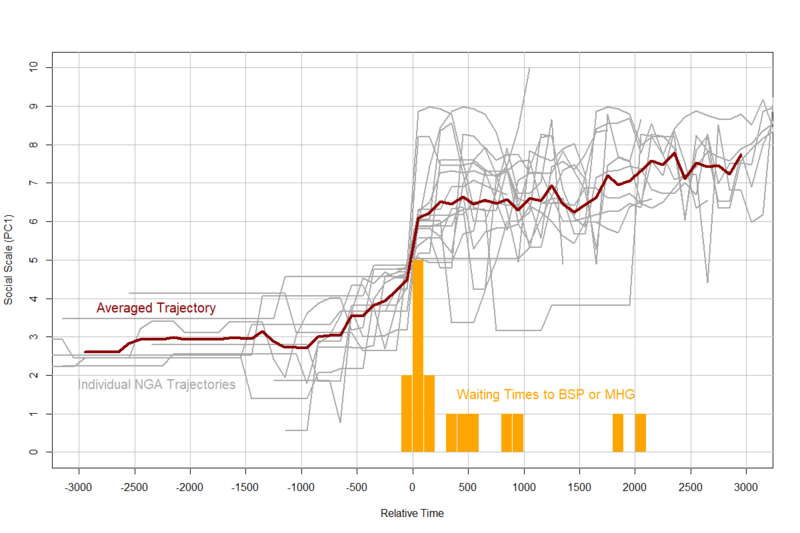 I will be at the Complexity Science Hub between Sept. 25 and Oct. 20. Great, are you going to give talks also?